Pests can be found year-round, but certain types are particularly prevalent in cooler weather. For instance, rodents are some of the most worrisome pests to find infesting your home. Besides transmitting numerous diseases, many times their presence isn’t realized until the infestation becomes substantial. The fall and winter months can present an opportune time for rodents and certain types of bugs to make themselves unwanted guests in your home. “They’re looking for hiding places in and around houses,” says Robert Sherwood, Director of Operations at Rambo Total Pest Control. But it isn’t simply the colder temperatures that increase pest activity. 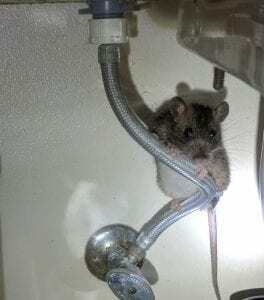 Different weather patterns can also trigger activities with not just rodents, but other types of pests. “When a warm weather pattern rolls in on one of the colder months, we might get a bunch of ant calls because they’ve come out from their nests,” says Luke Rambo, owner of Rambo Total Pest Control. 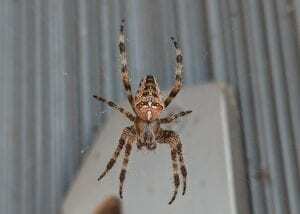 Fall is also the time of year when spiders are more prevalent. Since their mating season happens in the fall, spiders become more visible during those months. One tip the experts at Rambo Total Pest Control recommend is to eliminate any spider harborage areas. A good way to do this is to keep tree limbs pruned away from your home and other structures. 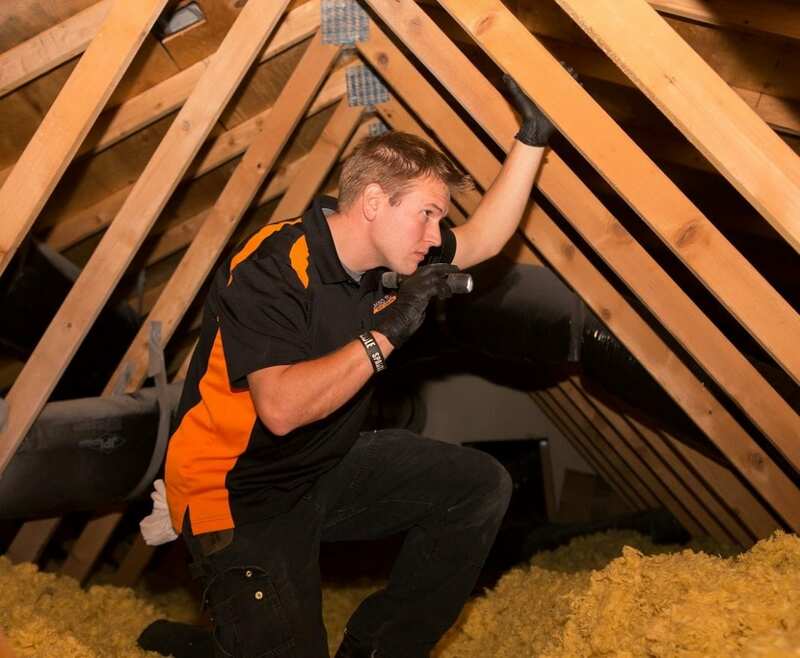 “Spiders can be difficult to control, but the best prevention is to be proactive by having your home treated on a regular basis. And to act earlier in the season,” advises Robert. Another way to prevent spiders – or most pests – is to limit or remove their food sources. And prevention is more about being proactive than reactive. Some common food sources for a variety of unwanted critters include bird feeders or chicken feed, and fruit that has fallen from a fruit tree and is laying on the ground. Many rodents such as rats, squirrels and raccoons tend to use bird feeders as a food source. Another tip is to keep clutter as well as vegetation and other types of growth minimal near the home. One other way people can be proactive is to practice general maintenance around the exterior of their homes. It’s important to do fairly regular full walks around your home, and make sure there aren’t areas of structure damage where pests can get in. The professionals with Rambo Total Pest Control do inspections and educate their clients on conducive conditions in and around their homes. Besides the home, another area that needs pest control and often gets overlooked is a detached garden shed. These structures are so appealing to pests because they house items like grass seed, and rats or other rodents can chew their way inside to get to what the rodent perceives as a food source. But it’s not just grass seed that is appealing to the rodents – any type of seed can be a food source. “If it’s possibly digestible, it can be a food source for rodents like rats. It’s best to keep any and all seed in metal container,” Luke says. Sheds are also a common area where things like fertilizer is stored, which is an item most humans consider toxic, but this is an item rodents will eat. Also, don’t store anything that can be used as nesting materials in your shed – items like canvas tarps – because nesting materials can be just as attractive as food. While stink bugs are a newer pest in the Pacific Northwest, and although there’s a number of different types of stink bugs, according to Luke Rambo, the brown marmorated stink bug is becoming an issue in the Puget Sound. The pest gets its name from the smell it emits when crushed, and as the name suggests, these pests can cause odor problems. Luke advises that although it’s an agricultural pest, it can crawl inside homes and nest over winter. Even though most years they aren’t much of a problem, this year the bugs have been an issue homeowners have dealt with. Luke says they’ve seen an uptick in stink bug calls, especially this fall, and he believes they will probably see more in the coming spring, when the bugs emerge from their nesting areas. 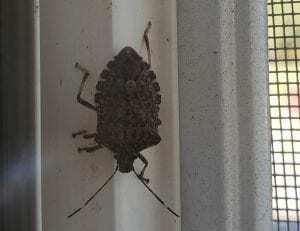 The stink bugs present a newer challenge, since their presence in the Pacific Northwest is becoming more prevalent. But according to Luke, this challenge is just one of the things about his industry he values. Rambo Total Pest Control is located at 4227 South Meridian, Suite C-120, in Puyallup. Learn more on their website, by calling their office at 253-848-6000, or by visiting them on Facebook.